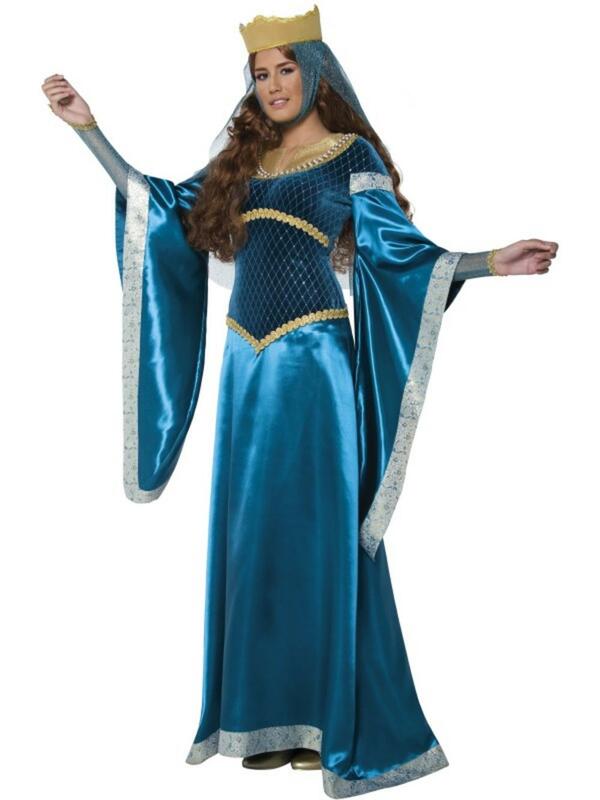 Transform yourself into the fairest maiden around in this truly stunning deluxe fancy dress costume. The stylish number includes a blue velvet look shimmering dress decorated in an amazing blue and silver patterned trim and styled with traditional draping sleeves. 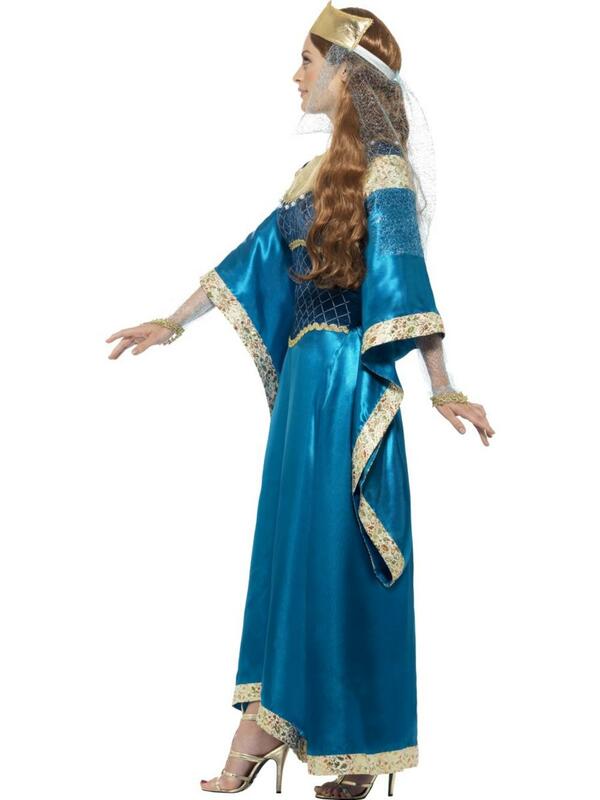 Completing the beautiful costume is a gold coloured foam crown and a blue and silver coloured veil. Perfect for a medieval themed fancy dress party, and proving to be a popular choice for Adult's world book day.